Cherish advertisements are news article that reports the recent death of a person, typically along with an account of the person's life and information about the upcoming funeral. It's a news which you express your feelings and gratitude towards your loves ones whom you have just lost. 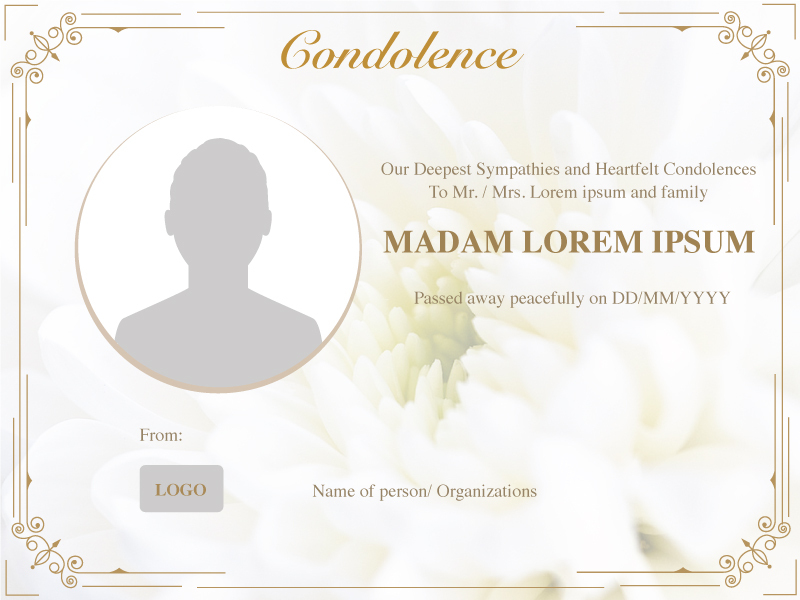 With the passing of a loved one, the publication of an obituary is required to inform relatives and friends about the death. This is published in newspapers or other available publications. It provides information on the time and date of services for the deceased. A type of ad that expresses sympathy and sorrow to someone who has suffered loss of a loved one or a friend. Consists messages of concern and expression of assistance by individuals or on behalf of a company. 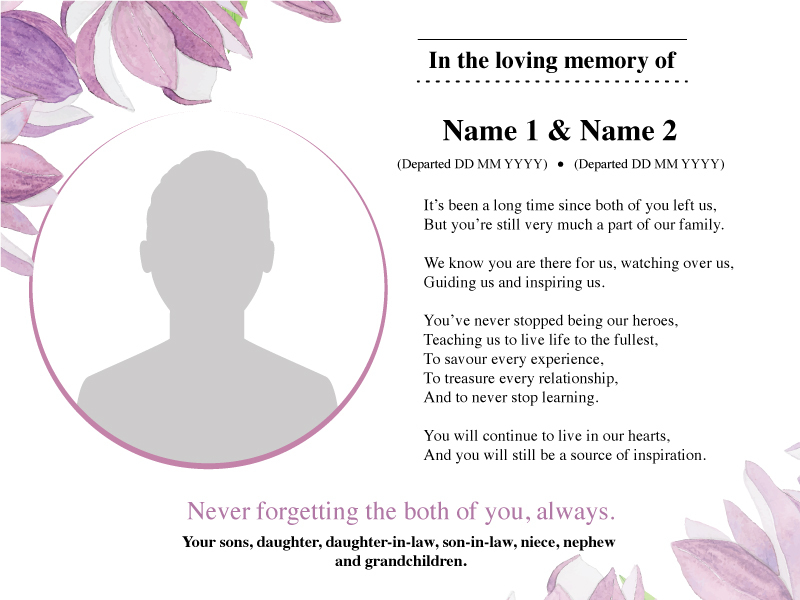 Memoriam advertisements are published on a special day of a loved one who has passed away. Articles, special messages or poems may be written in memory of a person. Usually appropriate on death anniversaries, birthdays or any other special days of the deceased.